Choose Burell Built Exteriors for all your roof repair and replacement needs in Meigs County, TN! Our contractors provide comprehensive residential and full commercial roofing services. Call our roofing company in Meigs County, TN at (865) 385-6926 for more details about our services. Though our offices are in Knoxville and Chattanooga, TN and we cover a large area, our contractors are dedicated to the level of service and quality you would expect from our family-owned and operated company. No matter what kind of roof system you have, we have the experience and tools to repair and replace membrane, shingle, slate, metal, and other roof systems. If you’re searching for a durable membrane system or want stylish slate, we have a wide range of options to choose from. Using exceptional materials and proper techniques, you can rely on our roofing company in Meigs County, TN for comprehensive roof repair and installation. If you live in one of the following communities or nearby, give us a call to find out how we can help you with your roof. We have the necessary combination of skills and extensive experience to manage any roofing job, residential or commercial. With many years of experience in the business, we specialize in many of the problems local building-owners experience, from ponding water to mold in the attic. If you have an emergency such as severe water damage or just need maintenance, don’t hesitate to call us at (865) 385-6926. 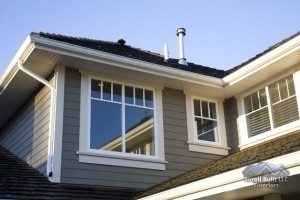 We also repair other parts of your roof system and home exterior, including doors, windows, and more. Our roofing company in Meigs County, TN is here to help with whatever you need when it comes to roof repair!